Hailing from Dakar, Senegal-by-way-of-New York City, Abdoulaye Diop, better known as up-and-coming Senegalese American music producer Majestic Drama has emerged as a new artist-to-watch in 2019. Establishing an impressive catalog with previous work with buzzworthy Eric James, C-Zero, Jha ‘lil’, and many more. Now, the rising star shows off his roots and skills with his first full-length instrumental project, properly-titled, World Full of Drama. On the 15-track effort, Majestic Drama presents his amazing talents to Hip-Hop in an attempt to establish his presence, earn his stripes, and convince that he is definitely the best new producer of 2019. Infusing trendy bass with traditional afrobeats, Majestic Drama’s sound is crisp, energetic, and exciting. Majestic Drama is an unforeseeable force to be reckoned with in Hip-Hop and his new project is nothing short of bonafide proof of that. Majestic Drama new project features breakout tracks “Casanova”, “In My Bag”, and “One For Me”. Along with guest appearances from an all-star cast of up-and-coming sensations Oga Silachi, Kash Beats, La Chaleur, Denzel, and Elshay. 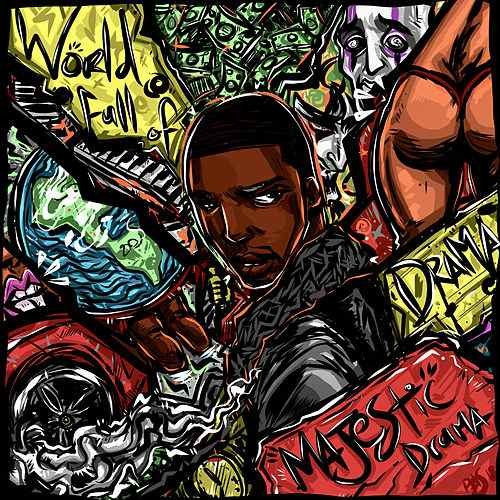 World Full of Drama is available now on all major platforms via Drama Club Ent. After you check out Majestic Drama’s new project, follow the rising star on Instagram, Twitter, and Facebook for more new music and daily updates. Stream World Full of Drama, courtesy of Spotify.